I am not a stranger to on-the-move travel. It has been a constant necessity in business and my wife, Nancy, has always preferred to stay on the move wherever we go. Growing up, my family and I spent most of our time cruising different waterways on the boat. It was our thing. There were also countless summers where my father and mother gathered up the five kids and took us out to Fire Island where we would literally live on the boat for days on end. Those collective experiences spurred a lifelong love affair with both adventure travel and the outdoors. Campground in Little Rock, Ark. When we moved to Colorado, camping in the outdoors and finding fish holes with our son, Cole, became our thing. We visited all the great western states and most of the big waters and famous national parks. Summer was always the time of year when we’d load up the jeep and camping gear, soak up new experiences and unplug from the busy day-to-day. This year, we decided to use our vacation achieving a personal goal of visiting the last of all 50 states by traveling cross-country in an RV with our dog. The journey started in early July as Nancy and I, along with our golden doodle, Byron, loaded up a Winnebago Travato 59K and started west. There were a couple of states I needed to personally check off my list as we ventured to Colorado including Arkansas and Oklahoma. First stop, Knoxville, Tenn. By dusk, we rolled into a roadside KOA just in time to meet some great folks and view a spectacular sunset. On July 3rd, we made our way to Arkansas (check state #49!) and camped along the Arkansas river near Little Rock. The mood was festive as every campsite was decorated and preparing for the Fourth. Dawn brought with it a dramatic southern sunrise along with rising smallmouth bass and bluegills which forced me to rig up my trusted flyrod. After playing some catch and release and downing a cup of freshly brewed joe, we packed up and headed through eastern Oklahoma (check state #50! ), but not before soaking in some impressive Ozark views. This was my first cross-country trip in a Class-B and the Travato truly opened my eyes to how wonderful big vans are for a light and fast expedition. The Winnebago loaner was the perfect size for two adults and dog to comfortably travel in for an extensive period. We toured a total of 16 states, stopped in an untold number of towns and crashed at eight separate campgrounds. All along the way, it was plug and play or unplug and let’s go. Whether we were spending our time inside or out, the accommodations were surprisingly comfy, and it was easy to access small villages, backroads and five-star views along the way. We loved the flexibility and mobility. WE ALSO ATTRACTED A LOT OF ATTENTION. Whether parked in a campground, visiting a Colorado microbrew or filling up the tank at the station, folks of all ages inquired about or requested a sneak peek in the Winnebago. Of course, we never turned down a request. Once we hit our destination in Colorado, our outdoor adventures didn’t stop. Throughout the week we swam with Byron in Boulder Reservoir, hiked in the Indian Peak Wilderness, fished in Boulder Creek and continued to play outdoors at every opportunity. It was at this point that we started to discuss that RVing in a Class-B just might be our new thing. Frank completing his 50 state goal in North Dakota. 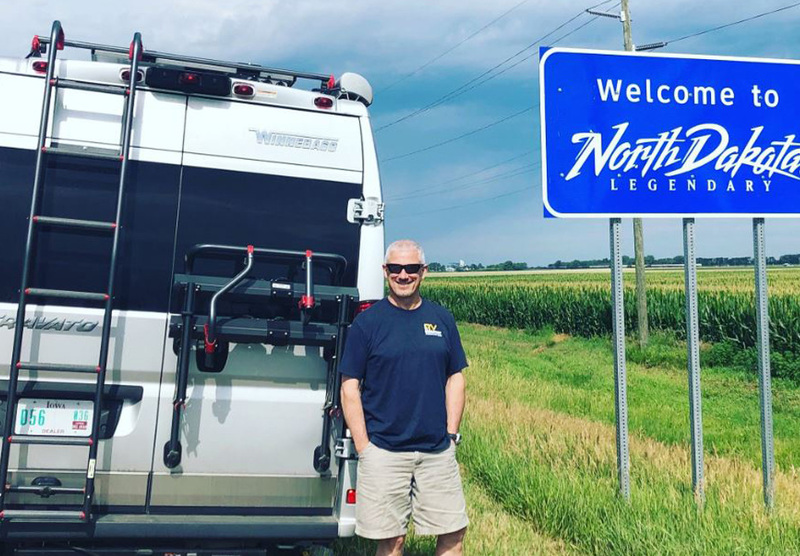 While staying in Boulder, Colo., it suddenly occurred to me that there was one more state I needed to visit to complete my 50-state goal – North Dakota! I had forgotten about and never visited North Dakota! So, we quickly scored one of the last available campsites in Custer State Park, packed up a couple of days early and headed to South Dakota. Our revised plan was to stay in the Black Hills and tour Badlands National Park. We would then steer through North Dakota, claim victory and turn east. If you haven’t been there, Custer State Park is one of the most scenic state parks in the country and home to nearly eight thousand buffalo. The Badlands are surreal and make you feel like you are visiting the moon. Following a star-filled night in the Black Hills and evening swim made possible by a waterfront campsite, we found ourselves in North Dakota. I completed my 50-state goal, again, and this time for real! 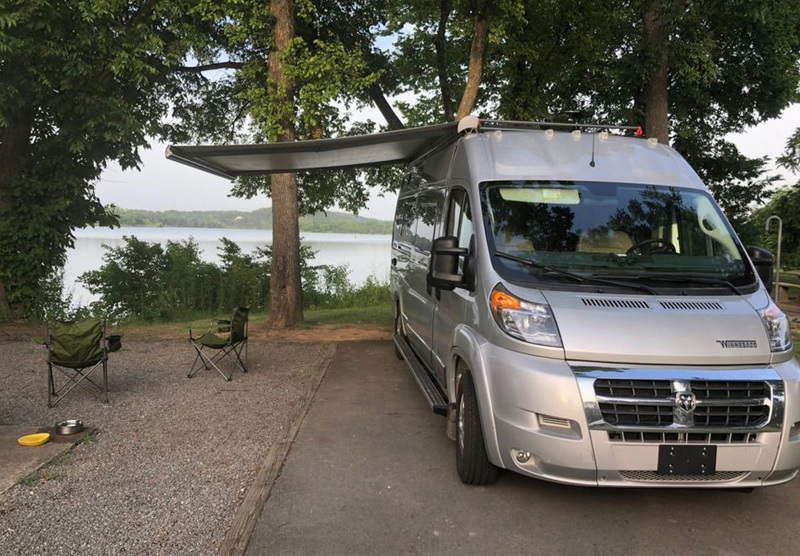 On the voyage home, we camped in a lovely state park near Madison, Wis., followed by another serene stop in the Cuyahoga, OH region before we meandered through the wine country of Virginia and arrived home sweet home. All told, we spent two weeks on the road, made some wonderful new friends and collected a bunch of cherished memories. The trip confirmed why I love what we sell as an industry – meaningful experiences. That’s really what touches Americans of any age, race or demographic. It doesn’t matter what activities you prefer; an RV enables you to explore and pursue the activities and adventures that make you happy. We’re all in the joyful business of connecting millions of people to that myriad of experiences. In the end, I guess that’s our thing. 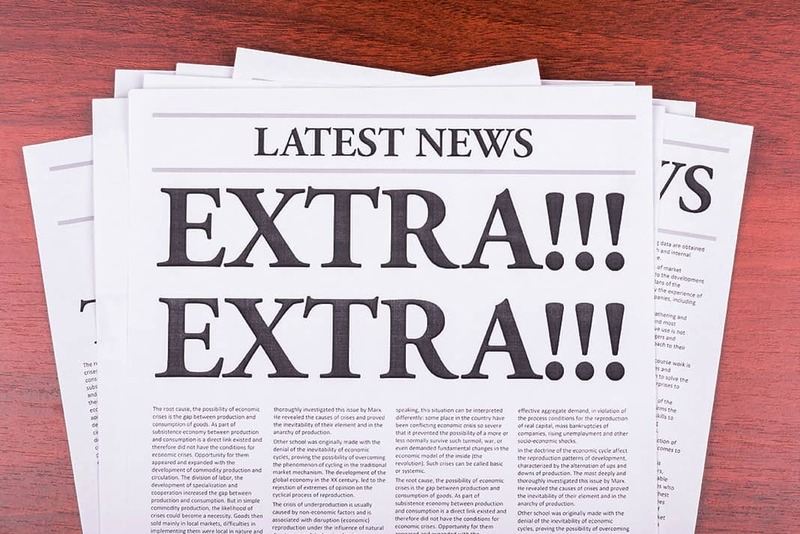 This article is reprinted from the RV Industry Association website. Are computers stealing your favorite campsite? Wow! Can you see yourself in this vintage trailer? They’re obviously not RVers, in a borrowed RV. How many hotels did they stay in?